How does longer daylight affect you? Today the sun came up at 6:35 and will set at 6:07. We’re closing in on 12 hours of daylight. On winter solstice we receive just 9 and a-half hours as compared to almost 15 hours of sun on summer solstice. On the farm, the longer daylight kicks everything into “wake up” mode. Even though we can’t count on dry or warm days, the signs of change are everywhere. 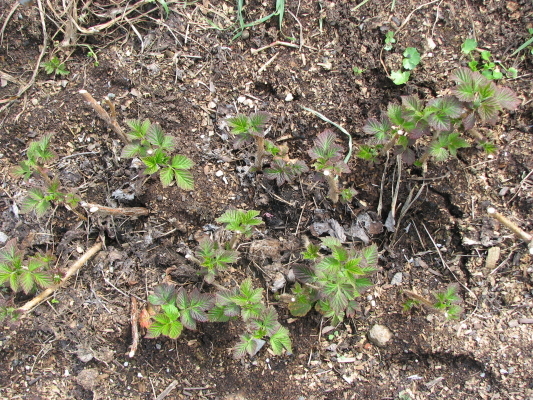 The raspberries are putting on their first growth, spreading out. Many greens, kales and cabbages are pushing to flower. 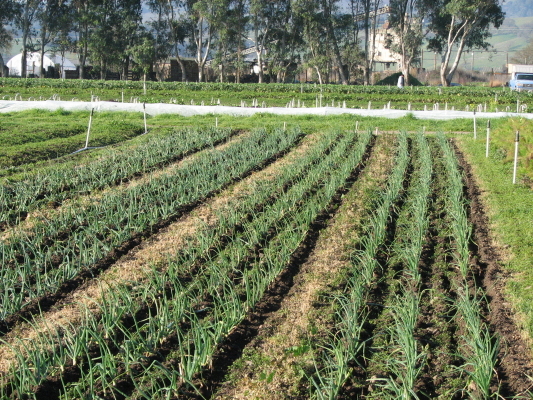 Spring onions will be ready in mid-April, we hope. One of the most daylight sensitive crops we grow is onion. Each variety is specific to hours of daylight. Choose the wrong variety and your onion probably won’t grow big enough or finish properly. We have had good luck with copra, walla-walla, purplette, torpedo and Red Burger onions. This year we will try Miss Megan also. The reservoir I walk around is full to capacity. It rained yesterday and last night, yet the trail is mostly dry above the valley floor. The mud is drying faster on the hilltops than last month. Leaves are coming out on the buckeye, the poison oak is cropping up everywhere. How does longer daylight affect you? This entry was posted on Tuesday, March 8th, 2011 at 7:03 pm	and tagged with onion and posted in Uncategorized. You can follow any responses to this entry through the RSS 2.0 feed.